In an article last month, Mashable reported on Facebook’s interest in letting users send money to each other through the Messenger app. Everyone uses Facebook, so everyone should be excited . . . right? Not so fast. Facebook may be ubiquitous, but that doesn’t mean that it would be a good business tool. Sure, it’s crucial for getting your name out there and talking with your customers, but taking payments is a different story. Facebook doesn’t exactly have a great history of keeping private information private. They often change their privacy policies, and this has resulted in a number of people giving away the rights to information that they would have rather kept to themselves. And when it comes to making payments—especially when your bank information is involved—keeping control over exactly what information you’re handing over to Facebook is just good sense. 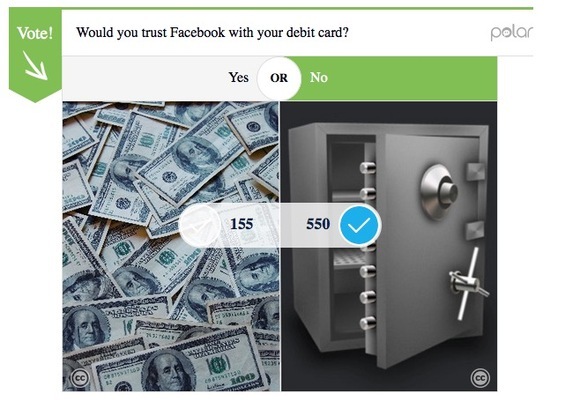 I’m not saying that Facebook would distribute your bank information or misuse it . . . but you have to wonder where it’s being kept. And who has access to it. Also, can you imagine saying, “Okay, I’ve completed the work, now please sign this form and send me a Facebook message with the payment”? That doesn’t sound very professional, does it?